Just stepping in briefly to say hello and give you a glimpse into my kitchen in the past month. While I haven't been able to participate in the November Magazine Review, I have been enjoying browsing through the food magazines and drooling at the amazing line-up of recipes. Midwest Living and Cooking Light were my favorites. 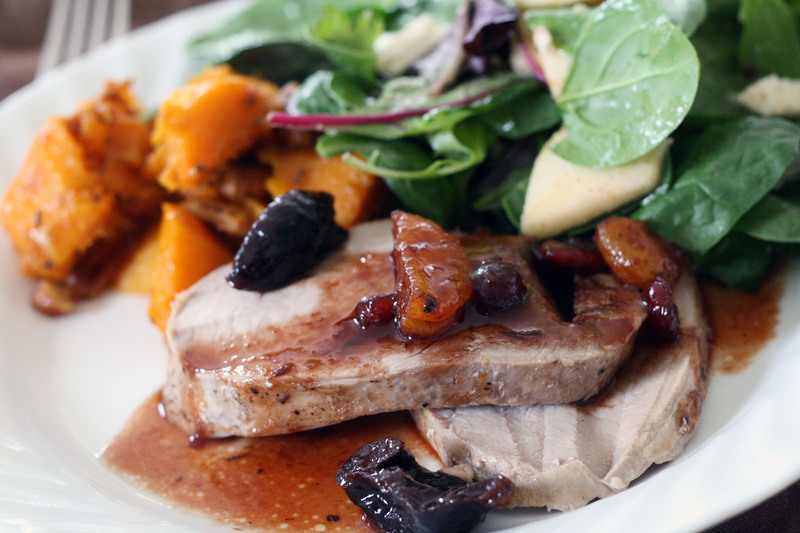 One Sunday this past month we enjoyed a pork roast with a dried fruit sauce that came from Southern Living. It was simple to make and not very time consuming. The results looked outstanding on the plate. I have a cardboard box on the floor of the kitchen filled with my stash of fall squash: butternut, cheese pumpkin, acorn, and pie pumpkin. Some of the squash found their way to the mantel for my fall decoration. We'll eat those in December and January. The recipe below was from Rachael Ray (October I think). 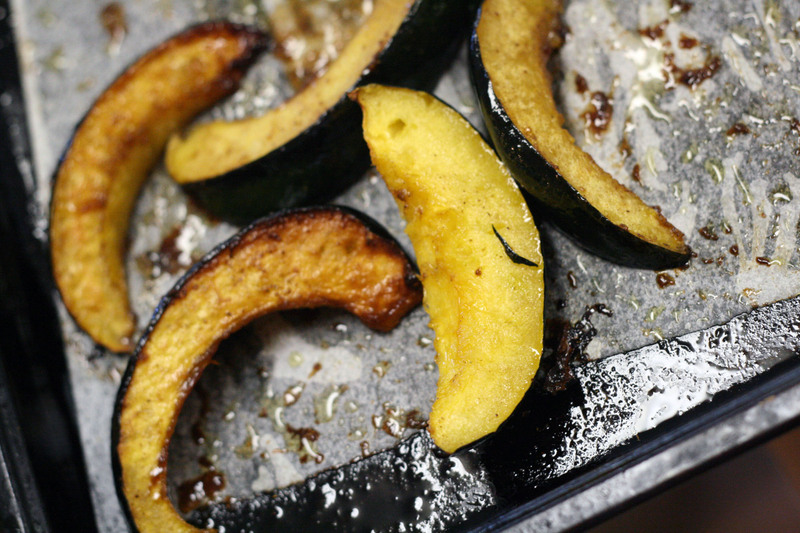 Butter, brown sugar, and herbs formed a sweet/savory coating on these acorn squash wedges. Mustard greens recently came in my CSA. They looked different from the ones in the grocery store. I was so surprised to find they were mild and delicious when sautéed with onion and olive oil. The kids and I are working on US geography this year -- studying one state a week. The highlight for me is finding food specific to each state. Rhode Island was our last state and we ate "pizza strips" with "coffee milk." 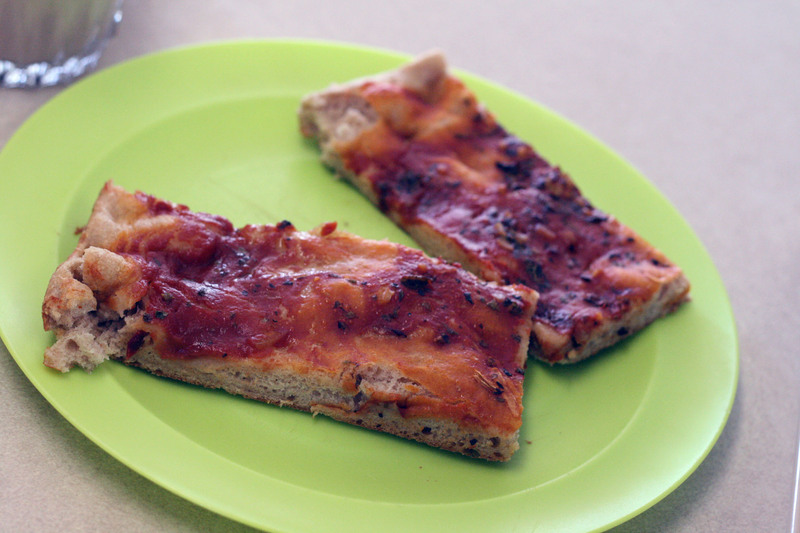 I can hardly believe they call cold, sauce-less pizza a delicacy. Ours was warm, and it was good. Something I haven't made in many years is Cornish Pasties. I used to make them regularly for picnics as they are delicious and filling. Needing a portable dinner for a trip I decided to pull them out of the file. 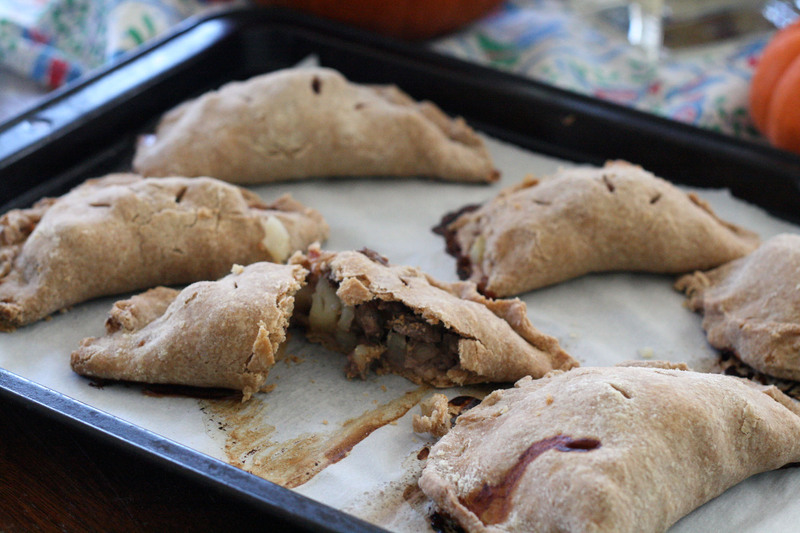 I used whole wheat flour for the pastry and they tasted great! seasonings of your choice: garlic powder, steak seasoning, etc. Mix together the filling ingredients. Mix together flour, salt and baking powder. 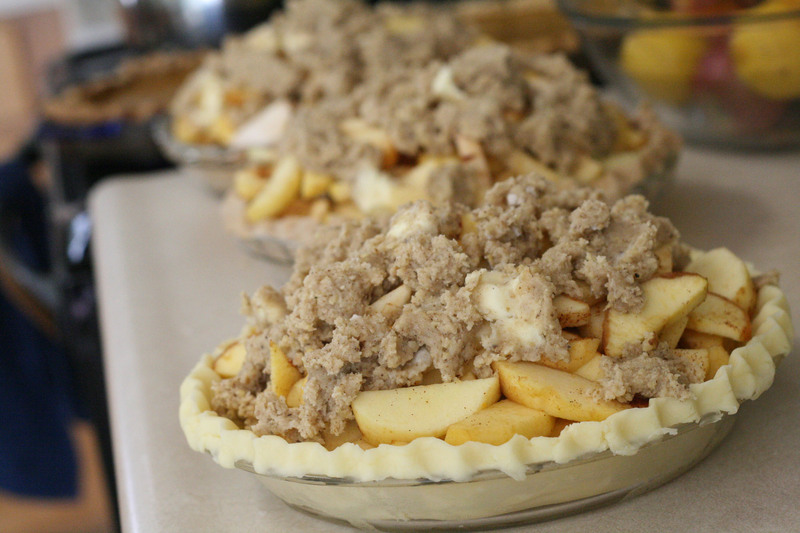 Cut in butter and mix with hands until small crumbs form. Add ice water to make a workable dough. Knead a few times. Divide into small balls. Roll balls into circles. Place a spoon or two of meat filling to one side of the circle. Dip your finger in water and "paint" the edge of the circle. Fold dough over to form half circles. Seal edges. Brush with milk. Bake at 425 for one hour. 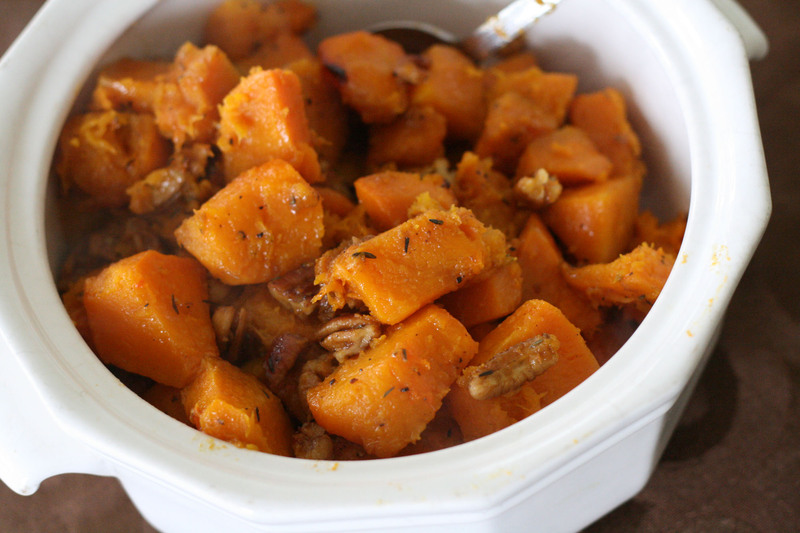 Another recipe I recently tried recently was Butternut Squash with Pecans and Vanilla. It was nice, but next time I'll throw the vanilla extract in at the end so we can taste it more. I can't believe I've had zinnias blooming up to the first week of November! 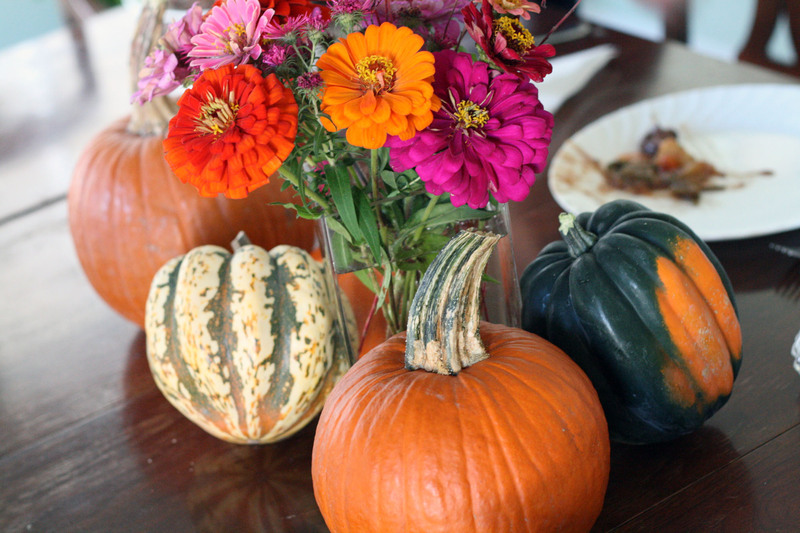 They brighten our table and mix well with the pumpkins. 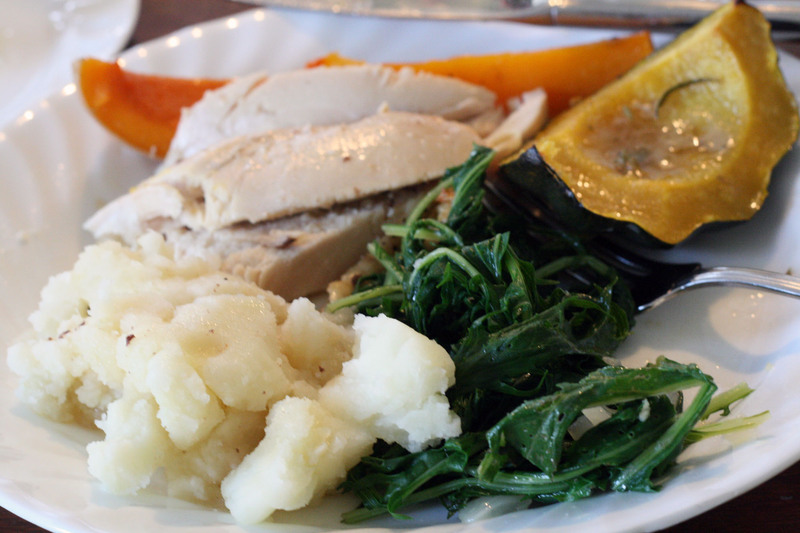 I hope you all are eagerly anticipating Thanksgiving and thinking ahead to what you're going to cook!